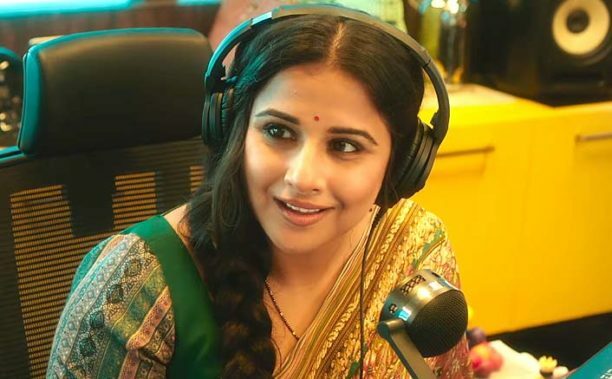 Tumhari Sulu, the slice of life film full of comedy, drama, romance and more starring Vidya Balan hits theaters on Friday, November 17th. Directed by Suresh Triveni, the film also stars Manav Kaul, Neha Dhupia, and Malishka RJ. Happy-go-lucky Sulochana (fondly known as Sulu), a suburban Mumbai housewife, lives with her husband, Ashok, and their 11-year-old son, Pranav. Sulu keeps herself entertained through the day including listening to her favorite radio station and taking part in every possible contest. In an unexpected turn of events, she lands a job of an RJ (radio jockey) on that station. What happens next is a story you must see! In a fun, laughter filled and amazing interview Vidya talked with Stacey about all things Tumhari Sulu. Check it out. When we talked last time you said, ‘I think that is going to be fun. It is going to see the naughty side of me in that. I can’t wait for that because I think it has been a while since smiled or laughed in a film’. Was it fun, did you laugh and smile? Oh, it was great fun. I am someone who smiles and laughs a lot. I smile and laugh very easily. A lot of people tell me that. 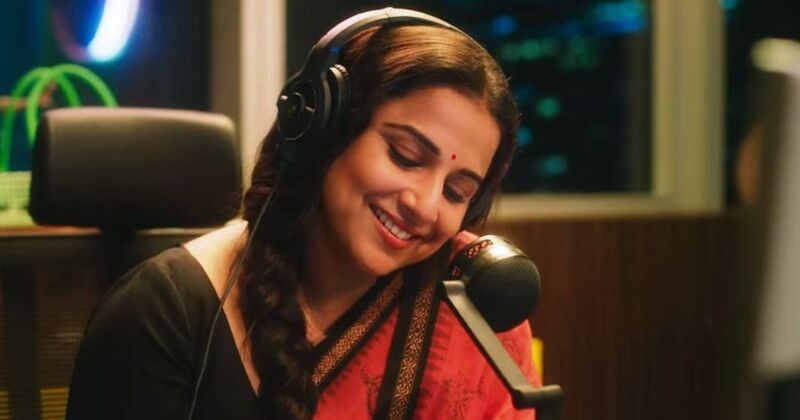 Therefore after the trailer so many people reached out to me and said, ‘Oh My God this is the real you in Tumhari Sulu’. (Laughs) She is also a little mad so I think they were also referring to that last laugh at the end. (Laughs) It was great fun! I think that after all the serious stuff I have done lately this was welcome break and also, like I said, this gave me such an opportunity to smile and laugh. It’s a slice of life film. The writer-director Suresh Triveni created an atmosphere where everyone was so invested in the film. It was a great joy to be working. That is just is an amazing experience I imagine. Absolutely, because that really dictates how you feel about the film and how the shoot goes. It was a wonderful experience, because everyone was keen to their job a little more than well because of the faith Suresh has invested in each one of us. I am not just talking about actors, I mean every department. Therefore, everyone felt equally invested in the film. I follow him and I follow you on Instagram and from his posts you can see he is so passionate and excited about the film. Absolutely! This is his first film. I think he is already going to be making a mark with his very first film. If he hasn’t already with the teaser and the trailer because people are already talking about Suresh Triveni to me like they know him. That is good – that is very good. So do you feel it is harder to be intense and do drama or do more of comedic fun film? Every genre has its own set of challenges. Every genre is unique. I don’t think one can really compare and say this is easier than that, but I say that in a slice of life film like Tumhari Sulu you have to strike this very delicate balance, because you see all shades of her. Plus she is this mad hatter. 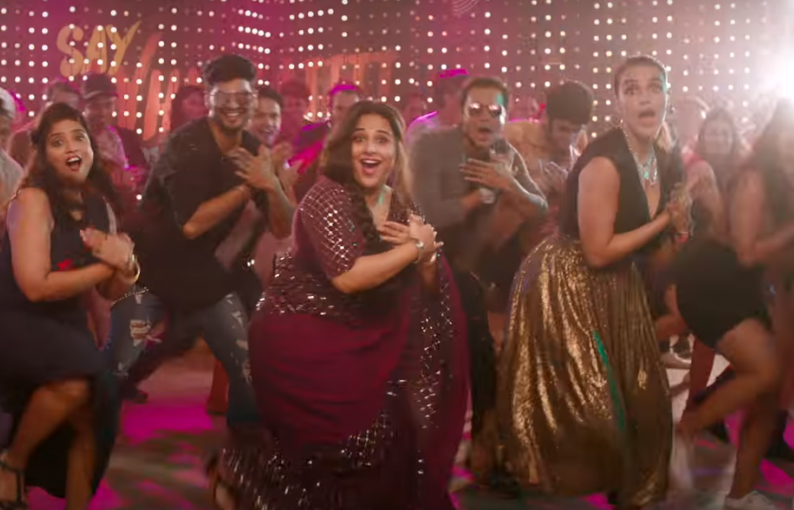 For example, you get a taste of that in that trailer where she is being this sensuous RJ who speaks to you very intimately, but suddenly she does this mad laugh. That was a very delicate balance to strike. But I think the way Suresh Triveni has written the script, it is definitely one of the best scripts I have read in the longest time. The way he narrated it to me, I already knew that I was in safe hands and that is why I said yes to the film. He has maintained that fine balance – that tightrope walk beautifully. He has managed it beautifully. Did you ever crack up doing that radio sensuous voice? It seems as if you have a great onscreen chemistry with Manav Kaul, how was it to work with him and how do you develop that? It was the most effortless experience, because there was mutual trust that was formed. I don’t know when, but I think it probably came out of both of us liking each other as actors much before we met. So maybe that is why when we met for the first reading we ended up laughing even before we read the first line. I think when you are able to laugh with someone then you pretty much break the ice and then it is easy there on. Here it was very, very crucial that we felt a great comfort with each other because we are couple who have been married for a long time. To share that kind of comfortable body language, you can’t act those things out you know you needed to have that comfort. I am glad we share that. What to you is the most important thing to you as an actress when playing a role? I think, when I am playing a role, while in preparation, the most important thing is that I don’t judge her, because only if I don’t judge her can I be true to her. You know, if I am going to sit in judgment then there will be aspects of the person that may not be in tune with my beliefs maybe, which will then work at cross purposes. It is very important that I don’t judge a character or even if I do judge her that I get past that judgment in the preparation stage. That I own her. I need to own her to really be her. You know, I don’t know. I don’t really learn lines. I don’t think I have ever learned my lines. What I do is I read the script a few times before the film. Then it sticks. I have never really made an effort to sit down and learn the lines. Unless the director is really keen on certain words then you have to focus to make sure those words are not missed out. But it sticks. Good lines stick anyway. Did you freak out when you learned you had to do ‘Hawa Hawai’? I sooooo would! Oh more than freak out Stacey ,trust me! (Laughs) Sri Devi is my all time favorite and I think there is nothing she can’t do. She was crazy in ‘Hawa Hawai’, good crazy. I was like ‘Oh My God how am I going to reprise this?’ Thankfully, Suresh told me you are not reprising it, it is just paying a tribute to it so you can just be dancing – you are not going to recreate the song in the same way. So I eased up after that. I had a blast! I do watch my self on screen of course, at the time of release; sometimes beforehand, if there is any dub to be done I watch the film. If the director is really keen that I watch it before the dubbing for whatever reason I watch it even then. So how do you feel watching yourself on screen? The first time I think I am only watching myself. (Laughs) The second time I watch the film. Bollywood is going through an interesting time now and especially since you are on the Central Board of Film Certification, what do you think of the films of today? I think it is an extremely delicious time, because people are rejecting out right films that they don’t like irrespective of whoever the star is. Content is QUEEN at this point! (Laughs) It is amazing because that also means that people are also paying attention that much more to what they put out. There are spending more time at the scripting stage, at the production stage and hopefully that means that our films are only going to get better! And for female actors I think it is a great time. I am definitely one of those who’s enjoying this time. Making the most of it. I feel quite sure that it is not just a phase. That this is here to stay. I know I say this every time, but Vidya honestly is one of my favorite people to interview. It was so amazing to talk with her again and I thank her for always be so nice. I look forward to our next conversation. Be sure to go see Vidya in Tumhari Sulu on November 17th. Stay tuned we have an interview with director Suresh Triveni that you don’t want to miss!